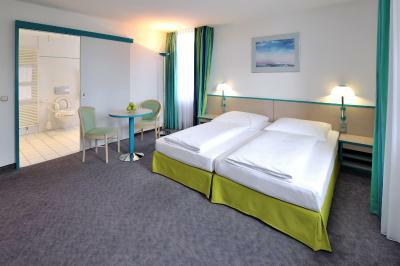 Lock in a great price for Westside Hotel garni – rated 8.9 by recent guests! Everything. 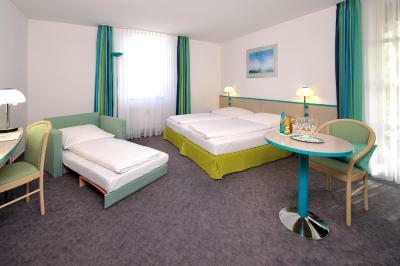 Quiet, clean, renovated rooms. The service was beyond expectations. Lots of restaurants and supermarkets very close. The staff was wonderful and super friendly. And I would like to thank them all for the smiles and kindness. 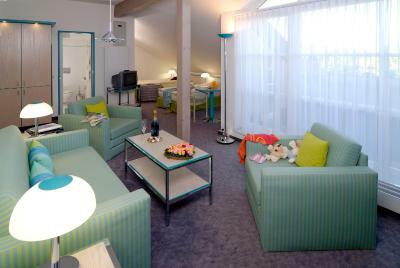 We stayed in the hotel for one night in our way to Austria. There was someone waiting for us despite we arrive at 23:00. 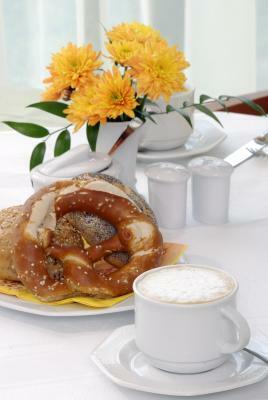 The breakfast was wonderfull an the location is greate: near Olimpic partk and Schloss Nymphenburg. 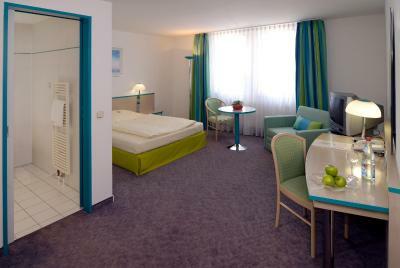 Spacious clean rooms, designed simply but cleverly. Recommend to anyone especially travelling by car. Extremely frendly staff. 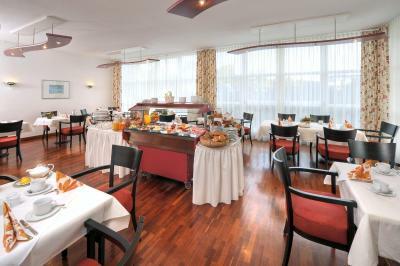 Comfortable and stylish rooms, The best breakfast in this trip. For sure worths the money. Excellent stay! Super friendly and helpful staff. 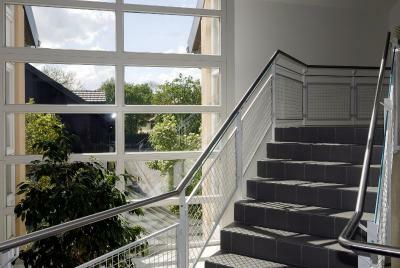 Easy access to public transportation to explore Müchen! We loved the room and the breakfast. We will be back soon! The staff was very nice and helpful with everything and the location was really pretty, silent, and near public transportation. The room was clean and comfortable. 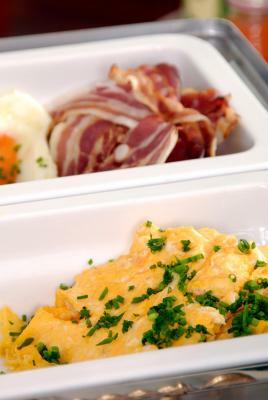 The breakfast was also delicious! The hotel was great! I loved the big rooms and location of the property near a grocery store and park was a great walking experience to start the morning. The staff was extremely helpful and even helped us figure out our GPS language key. 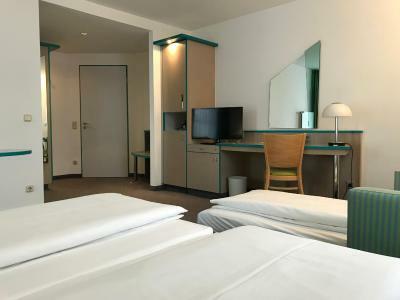 Westside Hotel garni This rating is a reflection of how the property compares to the industry standard when it comes to price, facilities and services available. It's based on a self-evaluation by the property. Use this rating to help choose your stay! 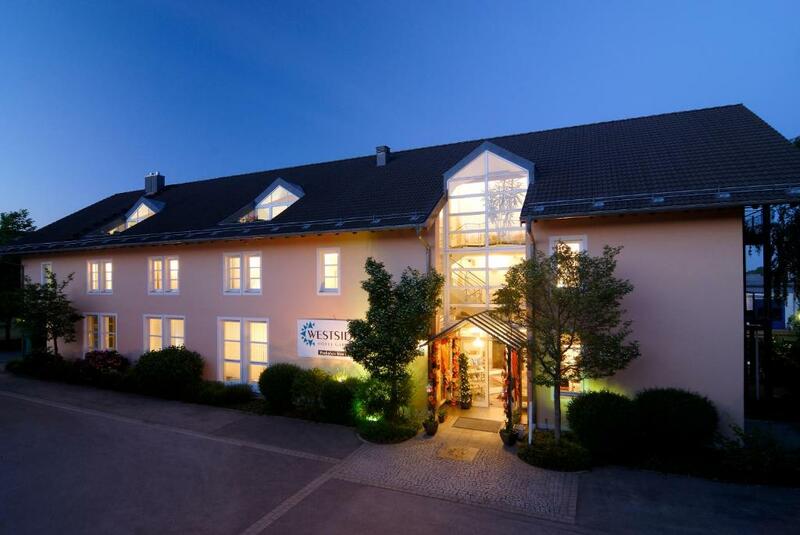 This charming hotel offers spacious accommodations on the north-western outskirts of Münich, close to the train station and A99 motorway, and just a 20-minute train journey from the city center. 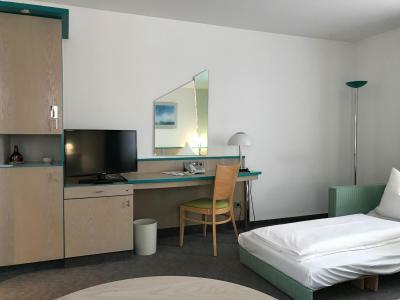 Things to do include exploring the surrounding area, the nearby Allach Forest, Munich’s city center, or simply enjoying a round of golf at the Eschenried golf course. 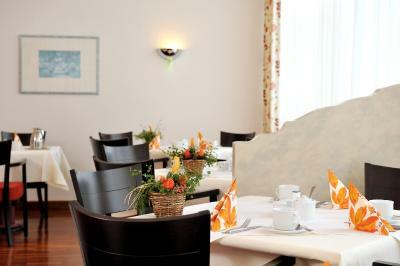 Allach - Untermenzing is a great choice for travelers interested in convenient public transportation, city trips and city walks. 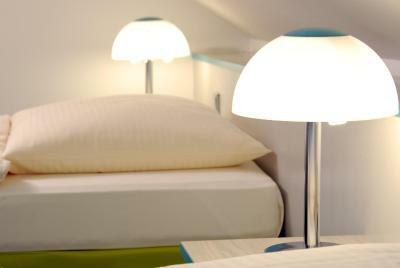 When would you like to stay at Westside Hotel garni? Hotel surroundings – This neighborhood is a great choice for travelers interested in convenient public transportation, city trips and city walks – Check location Great location - show map Guests loved walking around the neighborhood! House Rules Westside Hotel garni takes special requests – add in the next step! Westside Hotel garni accepts these cards and reserves the right to temporarily hold an amount prior to arrival. Nothing to dislike, but it is not close to the city center. It is close to an S-Hahn stop. Wonderful, friendly staff. 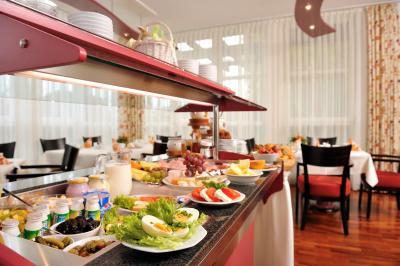 Remarkable breakfast bar. Close to the autobahn. It’s really clean. Even looks old, but everything is quite clean. 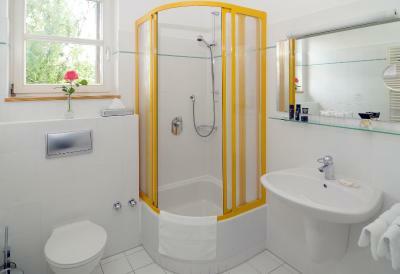 The bathroom didn’t have any smell including the water tube, that’s very rare to see. And staff are really friendly, they are a family, very great helping us to go to downtown. 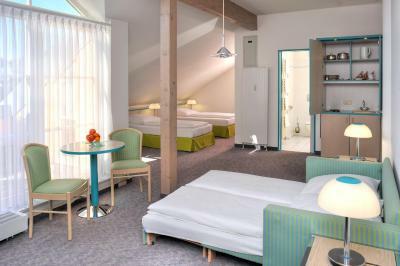 The hotel was exactly what we wanted....a cheaper alternative to staying in central Munich while the Oktoberfest was on. At about a third of the price, plus free parking for the car, it was brilliant. A free lift to the train station and about 6 to 8 stops to Munich, depending what part you wanted. I would comment though, that the "10 minute walk" back from Allach station was more like a brisk 15 minutes, but that was no problem. 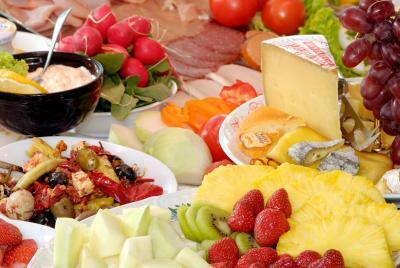 The breakfast was the best during our one-month tour of Europe and the owners were really nice and helpful. I would definitely go back! The room/apt was spacious with a nice sofa and chair. The balcony was nice with potted flowers for a nice feeling of comfort. The parking is kinda limited. The only negative would be the air conditioning unit in the room - it was quite noisey and you had to be close to it to feel the benefit but other than that, which was only minor, everything was great. No coffee at all in room, room did not look like on the pictures (smaller), they charge you for sheets if you want to use sofa coach in room as well. 10 minutes walk to train station, 5 minutes to bus stop. Good to have a car. Loan of bicycle and exploring the locality, cycle paths along canals to Munich Olympic Regatta Centre, swimming lakes and rural scenes. When we opened the balcony we saw that there was active wasp nest, so we could not use the balcony and had to keep the windows closed. 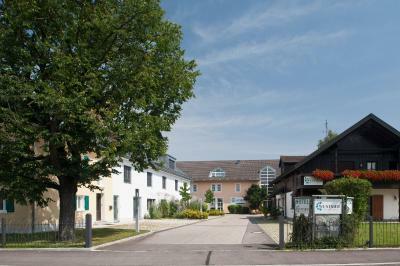 Quiet, small town outside Munich. Big room with balcony. Perfect for a family. Very welcoming staff.